The early 1960s were a tumultuous time in the United States. In 1961, efforts to challenge segregation on interstate buses organized by the Congress of Racial Equality, known as the Freedom Rides, were met with violent opposition. B.J. 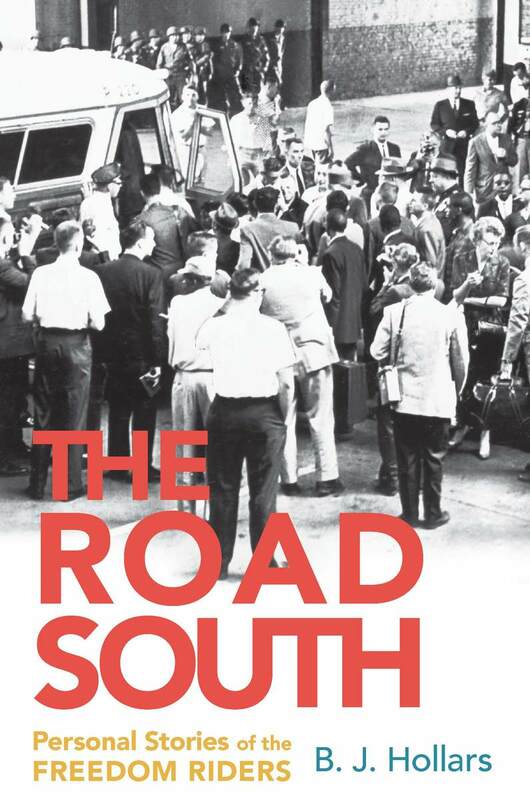 Hollars, an associate professor of English at the University of Wisconsin-Eau Claire, profiles some of the Freedom Riders — including one man from Wisconsin — who risked their lives to change American history in his new book, "The Road South: Personal Stories of the Freedom Riders." In 1961, the Freedom Riders were looking to test at the local level two Supreme Court rulings that integrated interstate buses. The Morgan v. Virginia ruling originally desegregated buses in 1946, and the 1960 Boynton v. Virginia ruling expanded upon that ruling, saying bus terminals, too, could not be segregated. "In the summer of 1961, a group of folks, black, white, young, old, northern and southern got together on these interstate buses to test a few Supreme Court rulings," Hollars said. "And they were met with bombs and beatings and even imprisonment along the way." One of the riders was Jim Zwerg, a white man from Appleton. "A lot of folks may know Jim Zwerg’s picture even if you don't know his name," Hollars said. "He was a tall white man from Appleton, Wisconsin whose picture was on the front page of many national newspapers in May of 1961 after being beaten in Montgomery." In the early 1960s, Zwerg was a student at Beloit College, where he met his roommate and friend, Bob Carter, an African-American man. "As their relationship grew, Jim began to realize that his friend wasn't being treated equally and he couldn't quite get a handle on why that was," he said. "And so Bob introduced him to Martin Luther King (Jr.'s) work and Jim became very invested in the civil rights movement." That investment took him to Fisk University, a historically black university in Nashville, Tennessee, for a student exchange program. There he met future Congressman John Lewis, and went from picketing movie theaters to becoming a full fledged Freedom Rider, Hollars said. The movie theater protests were Zwerg’s first introduction to the violence that could accompany the civil rights movement, but it certainly was not the last. "Jim often talks about kind of the way clansman would attack, and oftentimes the white male was the primary target because he was a traitor to the race," Hollars said. "And so Jim very much got the brunt of the violence, right alongside John Lewis, right alongside so many others." Zwerg faced a lot of pushback from his involvement in the movement, he said. Much of it, perhaps surprisingly, came from his progressive family. "While this Zwerg family was actually very progressive ... when it came to putting their son's life on the line and having their son call them up three days before leaving and saying, 'I'm getting on this bus, I may not come back, but I but I need to do it.' That really tore the family apart a bit," he said. But for Zwerg, it reaffirmed the importance of what he was doing. 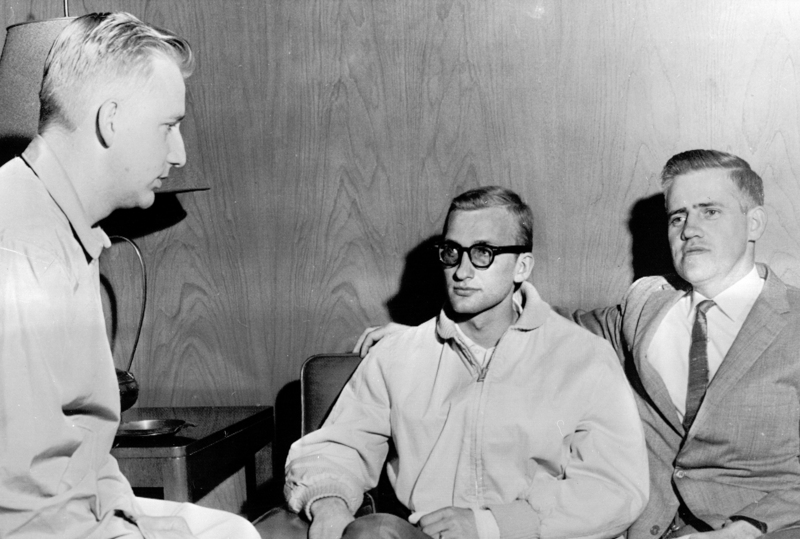 On May 20, 1961, Zwerg was beaten in Montgomery, Alabama, along with many other Freedom Riders. But it was his picture that made the papers. "So here were Wisconsin folks sitting down for breakfast looking up at the newspaper and realizing, hey a neighbor, a friend, someone from down the street who's involved in this, too, and maybe we should all take notice," Hollars said. The photo felt different to Zwerg, he said. Years later, he talked about it at an event looking back on the Freedom Ride. "He had this moment because as a result of his injuries he wasn't able to continue the ride himself, and one of his fellow Freedom Riders said, 'Jim you were with us the whole way, you inspired us to keep going,'" Hollars said. "It was a very, a very moving moment for him and he got pretty emotional about that." Hollars referenced a question that Freedom Rider Charles Person asks when asked about what impact he hope the stories from the book carry. "What would you get on the bus for?" he said. "That question of course is really about what do you care about so deeply that you'd be willing to risk your life, and I think perhaps now more than ever we have to think about that question in really pragmatic terms."